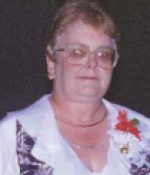 Remembering Eva Fulco | Remembering Eva Fulco | De Soto Obituary Search | Dietrich-Mothershead Funeral Home, Inc. Remembering Eva Fulco | De Soto Obituary Search | Dietrich-Mothershead Funeral Home, Inc.
Eva Ann Fulco was born June 27, 1943 in St. Louis, MO. She was the daughter of Eugene and Winifred (nee Courtney) Reuter. She passed on April 28, 2018 at SSM Health St. Clare Hospital in Fenton, MO at the age of 74 years. She is survived by her husband, George L. Fulco, House Springs, MO; children, Laura Warren, Memphis, TN; James Clark, Granite City, IL; Debbie Craig, French Village, MO; Rick (Lisa) Dobson, New York; Tammy Leighton; Arnold, MO; son-in-laws, George J. Leighton, Jr., Crestwood, MO; Bob Wren, Mapaville, MO: sister, Shirley Stulice, Viburnum, MO; grandchildren, Lauren (Steven) Bizzle; Wendy (Tom Nahlik) Doza; George (Lori) Leighton, III; Matthew (Kayla Luber) Leighton; Michael (Hope) Clark; James Clark; Christine Diaz; David Hurt; Jamie May; and Alicia May; 12 great-grandchildren. She is preceded in death by her parents; siblings, Eugene Reuter, James Reuter, and Audrey Horneker.